There are four essential principles associated with democracy. The first principle is the right of the people to choose and replace a government through free and fair elections. Article 21 of the Universal Declaration of Human Rights states that, “everyone has the right to take part in the government of his country, directly or through freely chosen representatives”. This basic principle has been undermined in Pakistan by those who indulge in massive rigging in order to assume power by hook or by crook. It has also been sabotaged by the deliberate policies of successive governments to give the lowest priority to education. This has resulted in about half of our country’s population being completely illiterate. This allows the elite to manipulate the electoral process through the control that they exercise over the local population that is too scared to stand up to them. The second important principle of democracy is the participation of the people in the governance process so that they stay informed about key public matters and are able to scrutinise political leaders and representatives. By using their right to vote, the people can choose their leaders or replace them when needed. They are free to debate public issues and participate in the decision-making process as well as attend public meetings to express their opinions. Their participation also involves campaigning and running for a public office. Thus, it is clear that political parties are vital for democracy. The problem with Pakistan is that many of its past rulers have plundered it at will. Pakistan can never progress unless corruption is rooted out. The third key aspect of democracy is the basic right of every citizen to practice their own religion, beliefs and culture with complete freedom. Article 18 of the Universal Declaration of Human Rights supports this right It states that: “everyone has the right to freedom of thought, conscience and religion”. They also have the freedom to protest against government actions. Unfortunately, the extremism that has seeped into our society has produced deep intolerance for others. This can be partly addressed by introducing a broad-based system of education in our madressahs as well as institutions of technical education and humanities. The fourth principle is the supremacy of law wherein the rights of the people are protected, law and order is maintained and the government is kept under check. This protects citizens from being discriminated against on the basis of their race, religion, gender or any other difference, and creates an environment in which all individuals are equal. This sense of equality is the essence of democracy and gives citizens the right of self-governance. In Pakistan, the legal system is in a deplorable state, with judges accepting bribes or being intimidated and even killed and witnesses being pressurised and attacked. The police system is embroiled in corruption. Unless these evils are addressed, we can never have a functional democracy. Much has been written about the necessity of a developing country to have a democratic system for socioeconomic development. However, all that has been written is now being questioned after the remarkable progress that China made under a communist system, which is transitioning to a more liberal social order as it progresses. China would not have developed at this extraordinary pace had it been under a democratic system which could work only if certain prerequisites were met, the most important of them being education. The tremendous progress that was made by Singapore under Lee Kwan Yew, by Korea under General Park and by Malaysia under Mahathir Mohammed, are also excellent examples of the transformation of weak Asian economies to powerful countries under autocratic rules. The electoral process in Pakistan is often a farce, with ballot boxes being stuffed with bogus votes; the rampant practice of printing far more ballot papers than are needed; and the reluctance to implement electronic voting. All the opposition political parties were unanimous in their condemnation of the 2013 general elections for being massively rigged. The alleged purchase of seats for the current Senate elections, at prices ranging from Rs50 million to Rs400 million per seat, puts the entire electoral process to shame. It is the current form of the Election Commission that needs to be changed. If the two major political parties would nominate four of its five members, why would these ‘party nominees’ act against the interests of the parties that nominated them? The Election Commission is supposed to scrutinise the credentials of all the candidates with respect to their eligibility in the light of articles 62 and 63 of the constitution. It completely fails to do that. During the previous general election, the process of scrutiny was purely cosmetic and the commission simply waited for the opposing candidates to file objections. Our Election Commission should learn from the rigorous process of scrutiny that candidates for Iran’s National Assembly are put through, before being allowed to participate in the election process. The process of observation should be intensive and should last for at least four months. Those found to have filed wrongful asset declarations, have loans written off against them or are defaulters, fake degree-holders or have a criminal record, should all be identified. About 200 of our politicians, who ended up becoming ‘honourable’ members of our national and provincial assemblies after being approved by the Election Commission, were found to have forged academic degrees. This shocking fact came to light in 2010 when the Supreme Court of Pakistan directed the Higher Education Commission to verify their degrees. It needs to be understood that genuine electoral reforms will not be brought about by political parties that benefit from a corrupt political system. Instead of the Election Commission’s members being appointed by the government in power and the opposition parties, they should instead be appointed by eminent citizens of unquestionable integrity on the recommendation of the chief justice of the Supreme Court. Electronic voting should be made mandatory, and the voting process should be monitored through cameras controlled by representatives of the national press. A proportional representation system should be introduced in place of the present system through which all political groups are represented in the assemblies in proportion to the number of votes cast in favour of each party. 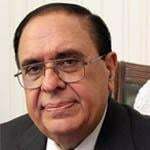 Only those parties that meet the eligibility criteria of the Pakistan Political Parties Order, 2002 should be allowed to contest the elections. The present system of democracy has resulted in billions of dollars being gobbled up by past rulers while the nation continues to grapple with massive illiteracy, poverty and underdevelopment. The time for a major change in our governance system is now.